So once you have dropped your night vision gear down the stairs and smashed your drone into the trees, it will be time to go old school. 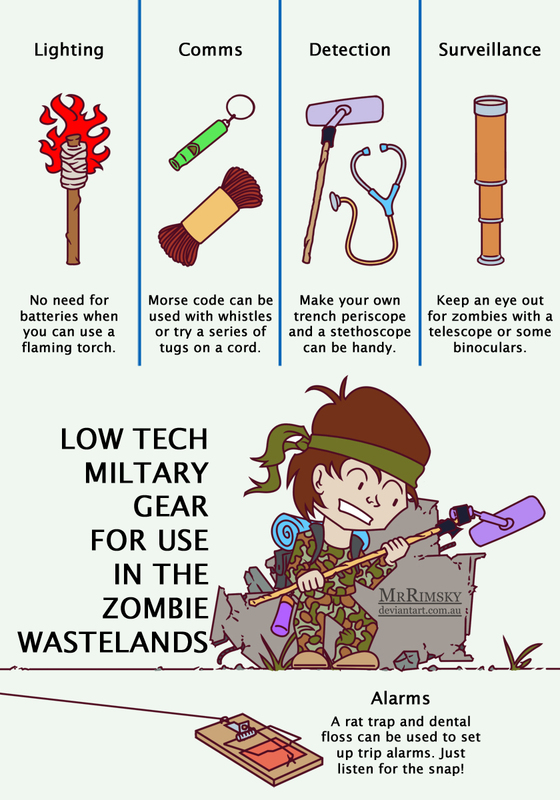 There are many simple tools you can create or adapt for use in the zombie wastelands. Duct tape a car wing mirror onto a pole and you have a handy trench periscope for looking around corners and peering into buildings. Flaming torches work just as well as a flashlight and will give you that swashbuckling adventurer look. Sometimes it's cool to go old school. Sometimes it is your only choice.